We are pleased and excited to announce a brand new competition from Back to Frank Black. For this, we would like you to look ahead, to imagine what you would like to see in the Millennium feature film, and to represent that by way of a poster design for “your” movie! The composition of the poster is entirely up to you. You might decide to put your Photoshop skills to full use or you might want to design, draw, or paint an entirely original work of art. You could include a subtitle for the film, a tagline, or credits for cast and crew. The banner could find its focus in a photographic portrait or in an illustration completely abstract. The only limit is your imagination! Show us your vision of Millennium and its future. If you’re struggling for inspiration, feel free to review the archive of advertising material from the TV show’s history here, on the Millennial Abyss. We ask that you submit your entry or entries--as you are free to submit multiple posters if you have a wealth of ideas--as either a JPEG or a PDF file(s) by e-mail to info@backtofrankblack.com. Be sure that your subject line reads “Millennium Movie Poster Project” and that the e-mail includes both your name and address. As judge of the competition, Lance Henriksen himself will choose the winning poster! The contest’s exclusive prize will be announced shortly. The closing date for entries is August 29th, so start planning your image! There are 35 days remaining. Good luck! 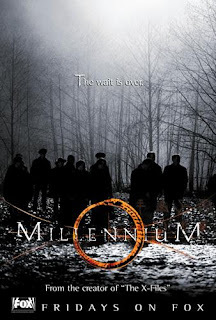 We look forward to seeing your Millennium movie poster designs. 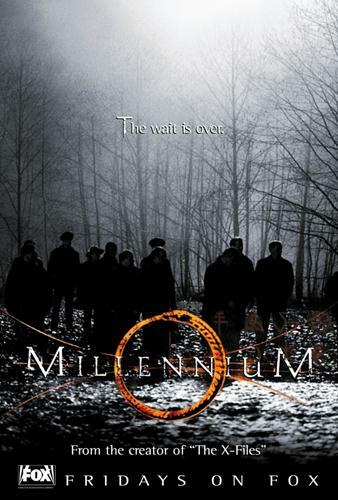 0 Responses to "COMPETITION: THE MILLENNIUM MOVIE POSTER PROJECT"